The deck comes as a set with 80 cards including: 22 Trumps, 40 Suit Cards, 16 Court Cards, Title Card and a Wild Card. The set includes a 38 page book called “The Wormweird Codex or, The Anatomy of the Damned”. All cards are numbered or titled and include a border that is colored according to Major Arcana or Suit. 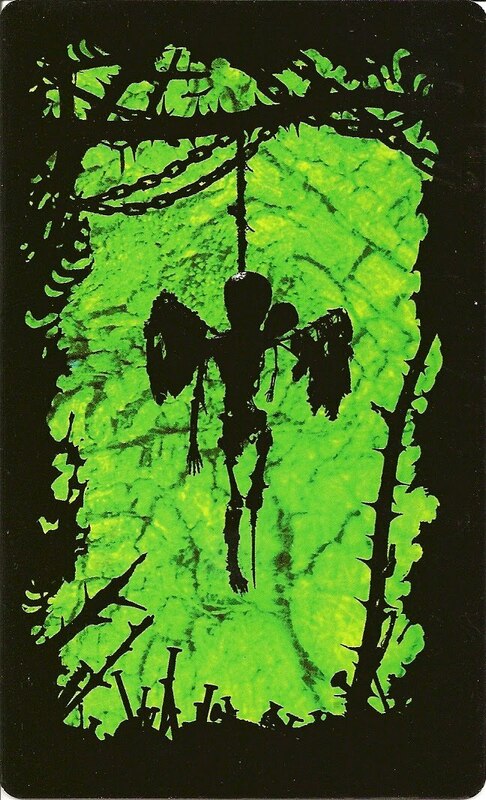 Court cards are associated with colors and each has its own emblem in the bottom corner.The card backs are black and lime green with a silhouette of skeletal angel-type figure hanging by the neck from a thorny branch. Justice is numbered 8 so Strength is 11. 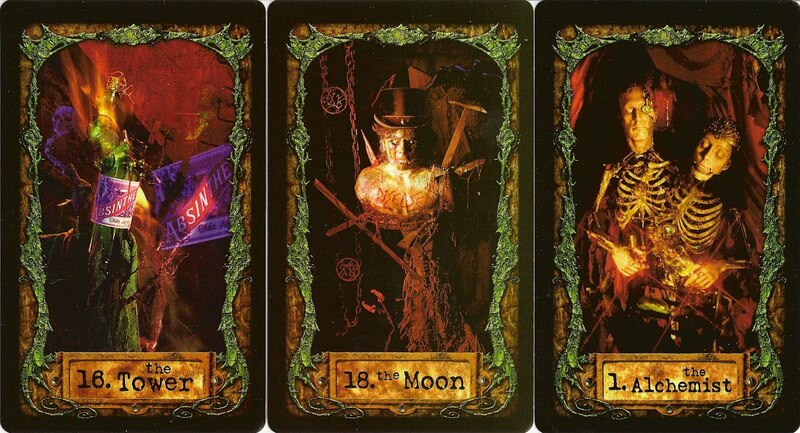 There are some changes to titling of Major Arcana including: The Alchemist (The Magician) ; The Scream (Strength) ; The Wormwood Devil (The Devil). The additional Wild Card is called "Baron Alchymus".The court cards are renamed as Lord (King), Lady (Queen), Knight ( Knight), Fetus (Page). The suits are Nails (Coins/Pentacles - Earth), Shadows (Wands - Air), Flames (Swords - Fire) and Absinthe ( Cups - Water). This deck uses real artistic sets. 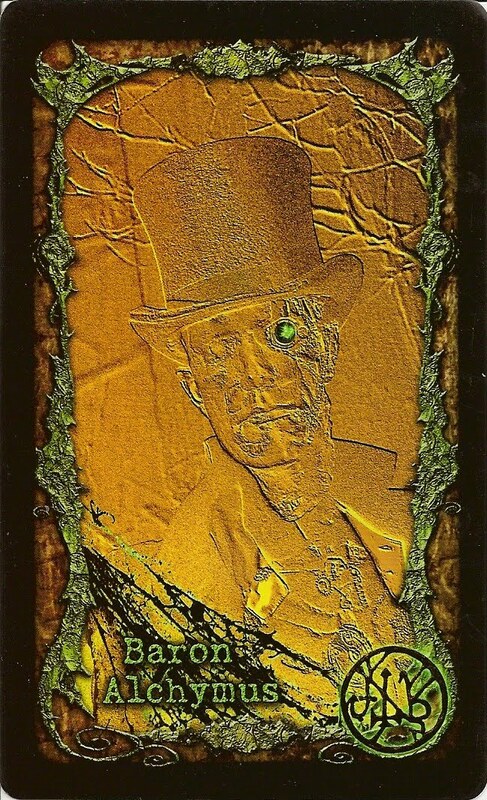 For each card the Author built wax figures, sets and with the use of his camera, mirrors and smoke created the image. He did not alter or digitally enhance the pictures.